This is another use-up-the-leftovers innovation otherwise known as everything-but-the-kitchen-sink soup in our house. A few weeks ago, I made meatloaf. I love meatloaf! Especially when it is paired with mashed potatoes, gravy and green peas! 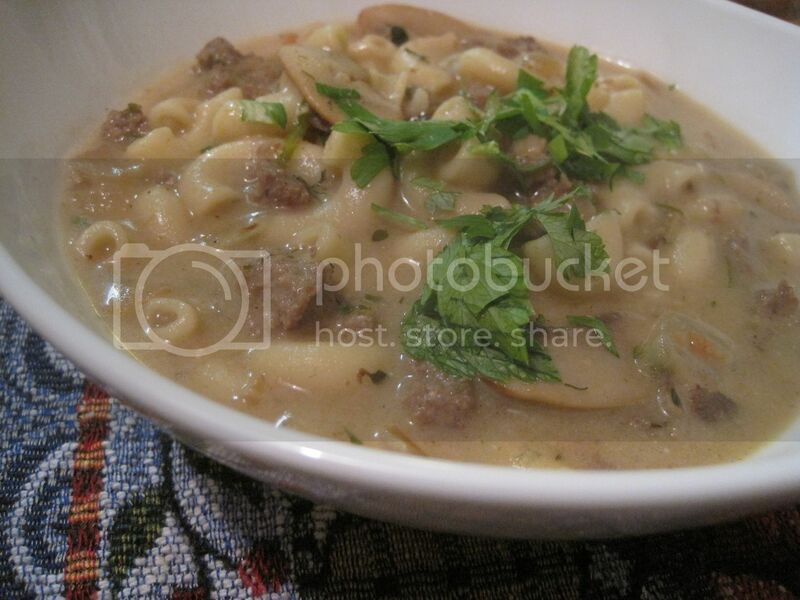 It is comfort food for me, taking me back to school days and cafeteria lunches. Yes, I actually didn’t mind them! My children, on the other hand, will not eat in any of their school’s cafeterias. Go figure! Their dad also has his own particular quirks when it comes to food. He hates meatloaf! He loves a good burger, even meatballs. But meatloaf? His memories of meatloaf from his childhood is not as pleasant as mine. So needless to say, after I had indulged in one of my favorite comforting meals, we still had some leftover meatloaf that kept finding its way to the very back of the fridge despite my repeated efforts to keep it front and center so it could be eaten up. Before half a loaf gets tossed to the bin, I decided to give it a make over and this is it. I started pulling things out of the fridge and came up with about 4 slices of meatloaf, some leftover mashed potatoes and gravy and a pack of mushrooms that needed to be used up. I know I won’t always have these same set of leftovers, but they loved this soup so much, I had to write it down so I can duplicate it or at least come close to it next time. This soup, paired with toasted bread and a salad, can be a complete meal in itself. 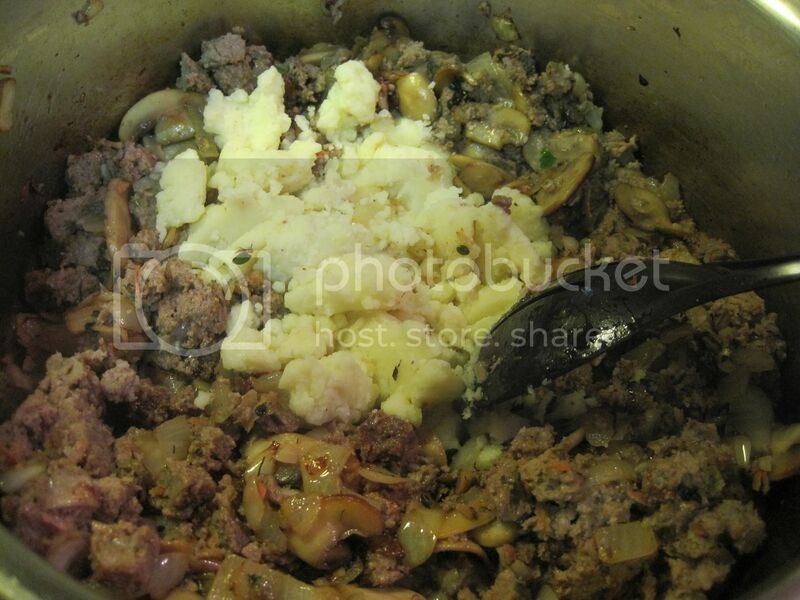 In a large enough pot, melt the butter and add the chopped mushrooms. Cook until they start turning brown. Add the onions and garlic. Cook until the onions are transparent. Add the left over meatloaf or hamburger meat, parsley and thyme. Add the mashed potatoes and gravy, and the soups. Rinse out the cans with water and add to the pot. 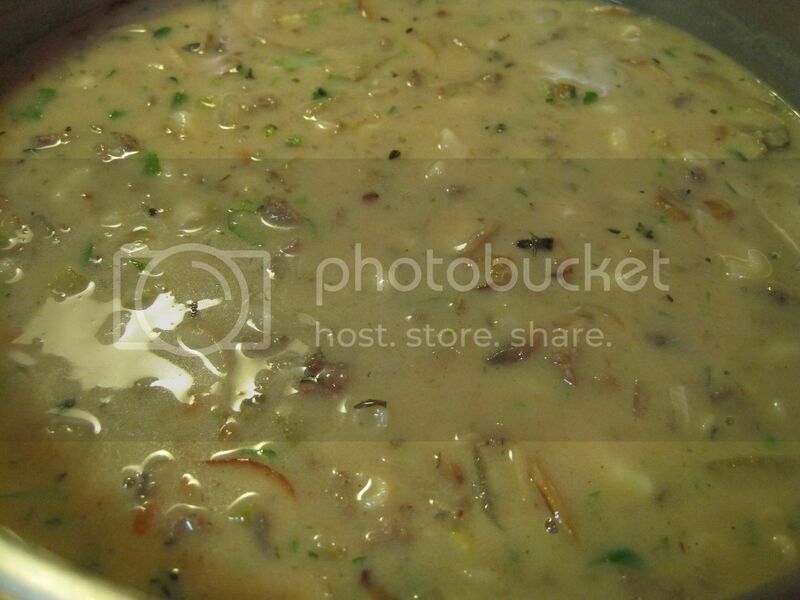 Add the remaining amount of water or broth and simmer for 15-20 minutes until it is thick and bubbly. Add the cooked macaroni and simmer until warmed through or until it is thoroughly cooked if you happened to only cook the pasta part way. Taste and adjust the seasonings with salt and pepper if necessary. 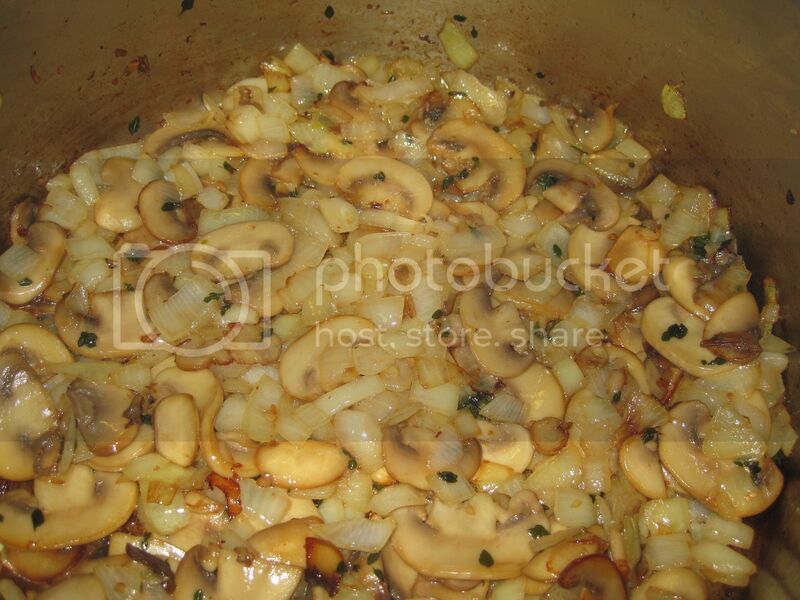 Brown the mushrooms then add the onions and garlic. Cook until the onions soften. Add the meatloaf, mashed potatoes and other ingredients. Keep in mind that when you are using leftover meatloaf and mashed potatoes, they are already seasoned and the same thing with the canned soups. So make sure to taste before adding anymore salt. 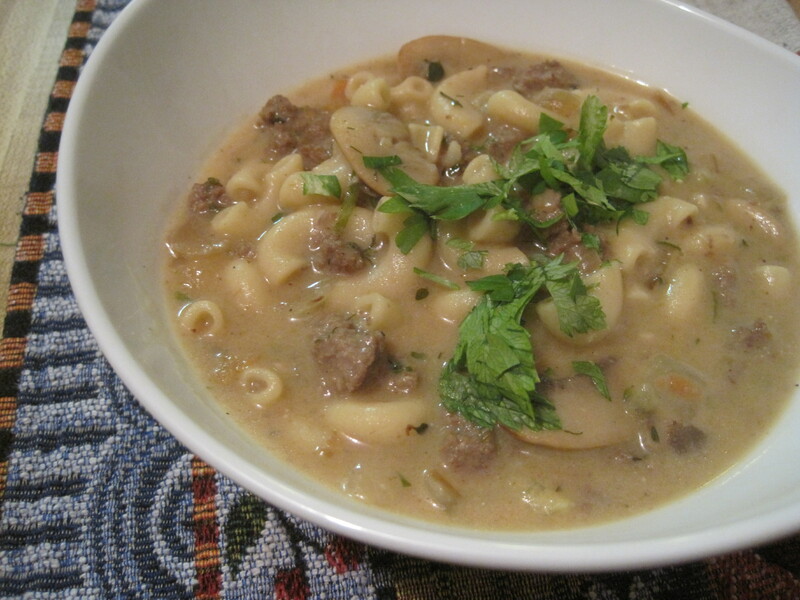 My family liked this soup so much that I cooked it again from scratch instead of leftovers. I used ground beef as the meat. When you use fresh meat instead of cooked meat, alter the process a bit by browning the meat first and taking out any excess grease (you’ll also omit the butter since the beef will render enough oil to sautee’ the other ingredients). After the meat has cooked, add the mushrooms and continue with the recipe as above. Also note that you may have to adjust the amount of water or broth that you use, depending on whether you like your soup to be on the creamy or soupy side. For added richness, you can also add milk and cream just before finishing cooking.